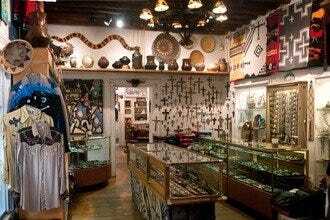 The gift shops at Santa Fe's museums are great options for holiday shopping. 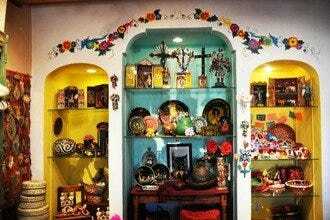 The colorful, packed Museum of International Folk Art Shop is no exception. 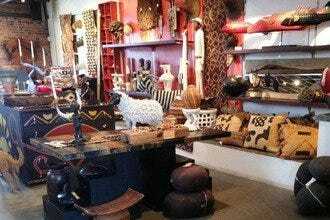 Shoppers will find folk art from around the world. Enterprising artists from impoverished communities are experts at recycling. Some of the "upcycled" treasures here include whimsical animals made from discarded flip-flops in Kenya, South African telephone wire baskets, horn jewelry from Vietnam, seed pod birds from Zimbabwe as well as recycled oil drum wall art from Haiti and Indian animals created from steel drums. Pottery includes the prized Mata Ortiz pots from Mexico and Brazilian pots. There's collection of clothing and textiles from around the globe including Guatemalan huipiles, wool ponchos from Nepal and an extensive scarf collection as well as.nesting dolls from Russia and Poland, Peruvian retablos and Dio de los Muertos art. 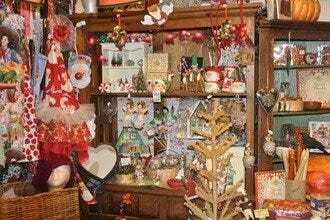 For the holidays there are lots of ornaments on offer. Christmas Shopping: "The shop always stocks folk art in conjunction with current exhibitions. This season shoppers will find pottery from Brazil as well as examples from the Southern United States. 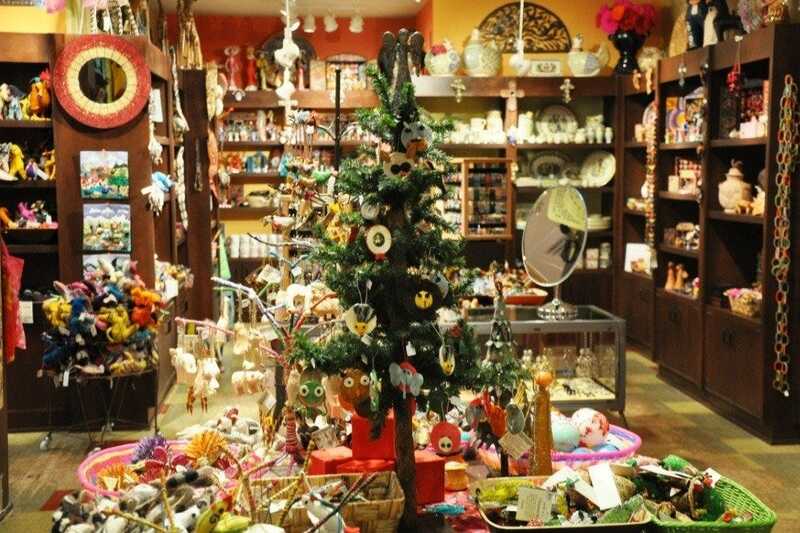 While you're there, check out the museum's book shop"
Best for Christmas Shopping Because: The International Folk Art Museum Shop has a colorful selection of well-priced gifts from around the world.